You could say John Tong’s One Arm Stool has legs. It was a key element in his refashioning as lead designer of 3rd Uncle Design of the Drake Hotel in 2004, which did much to make the deteriorating Queen Street West hotel hip again. It brought a taste of the Drake Hotel’s lounge to the dining room of the Drake Devonshire, in not-too-distant Prince Edward Country, which Tong — by then the principal of +tongtong — also designed to great acclaim. 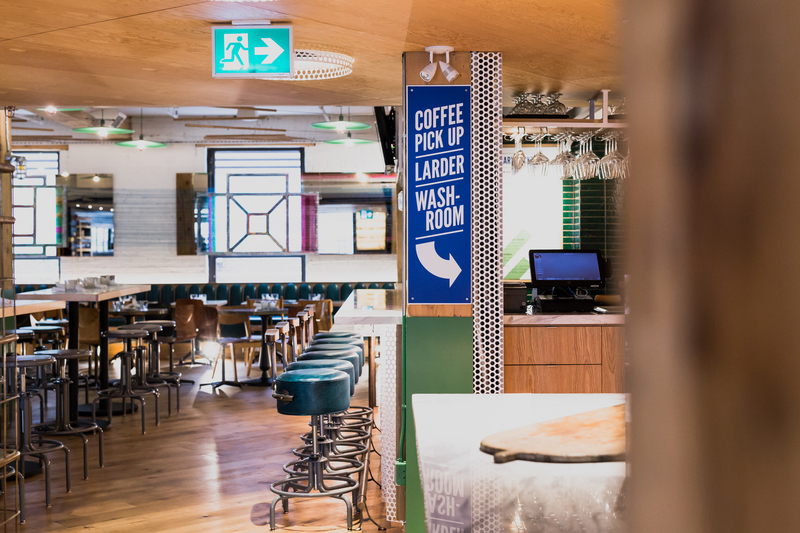 And it has turned up, in a new configuration, at the recently opened Drake Commissary in Toronto’s transforming Jungle Triangle. 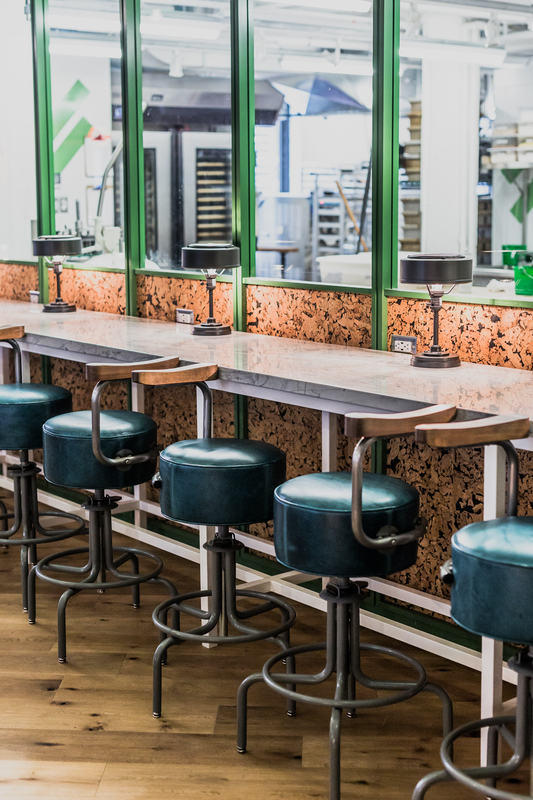 Set in a historic brick and beam condiment factory, between a brewery and a chocolate plant, the 8,000-sq.-ft. Commissary skilfully fuses a production facility that supplies food for all of the Drake Hotel Properties locations with an eatery, bakery, bar and larder open to the public. Taking his cue from important elements of design for the Drake Commissary — perforated metal panelling, with large round holes and circular light installations — Tong decided to fashion a new version with a tubular-steel circular base (provided by Mur-Van Manufacturing) at the bottom and a round seat. But the one arm, custom made in tubular steel and solid wood, remains in place, as does the leather upholstery (from CTL Leather) in what Tong calls “Drake green.” Putting it all together is Grant Gilmour of Gilmour Upholsteries. 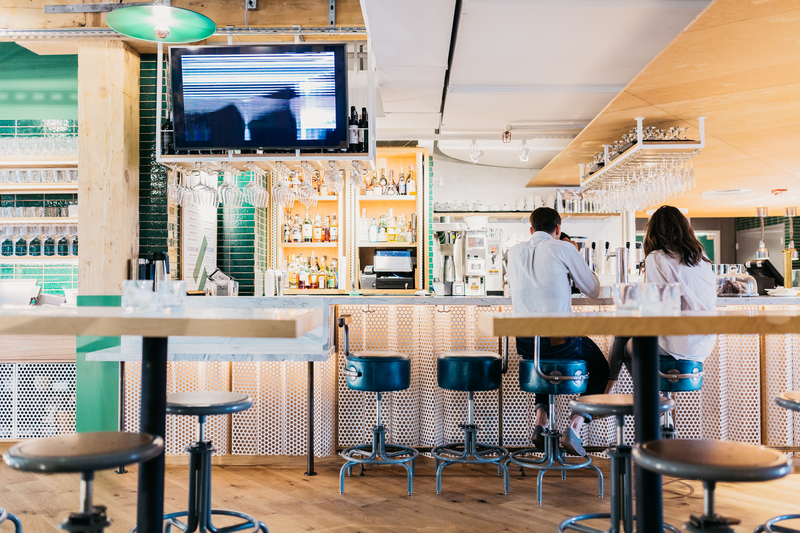 The Drake Commissary pays tribute to the industrious and creative spirit of the community. 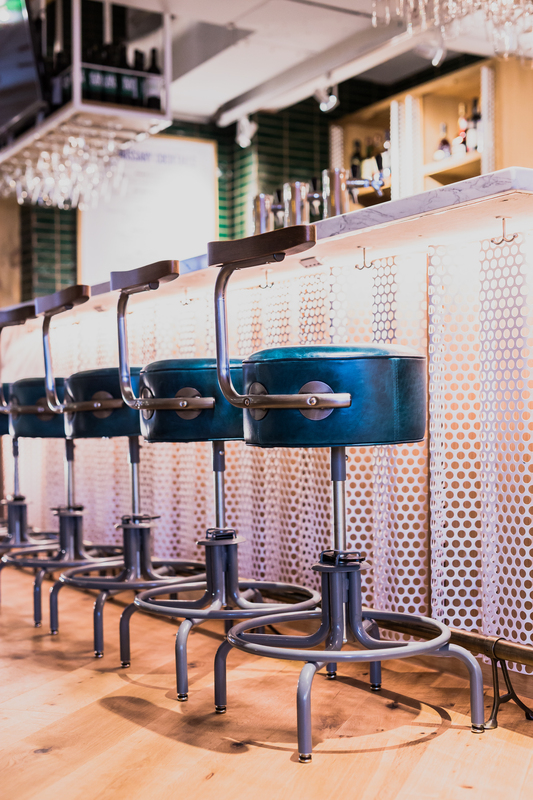 On the night of the Drake Commissary opening in June, it was difficult to spot the stools that had been finished in time, what with a large, happy throng sampling plentiful morsels of very good food. In both its configurations, the One Arm Stool does seem to symbolize the whole Drake vibe: quirky but comfortable; industrial but polished; artsy but down to earth.